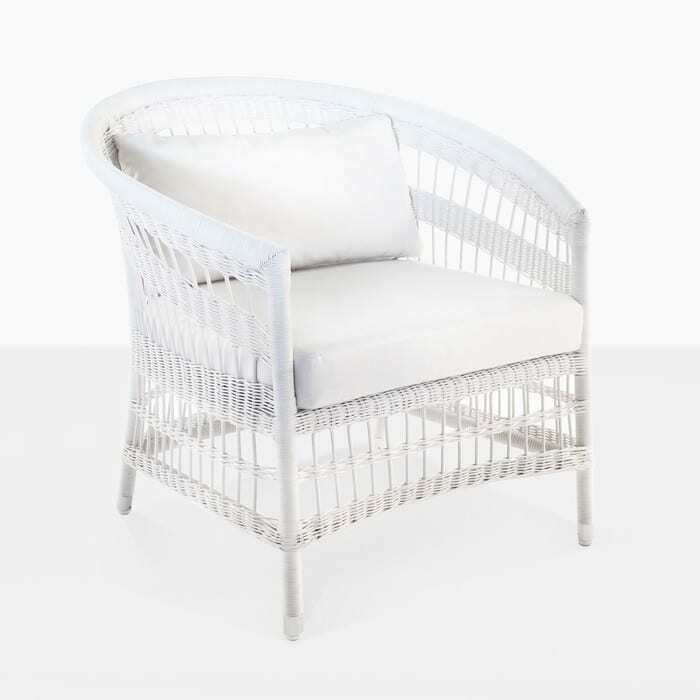 The Sahara outdoor relaxing chair in white wicker is an elegant and chic relaxing chair that will add style and class to your outdoor space. 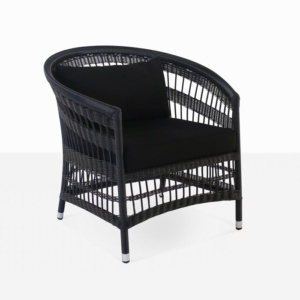 We took cherished elements of classic outdoor wicker chairs and added a modern vibe with the bucket-style seat and rounded back. 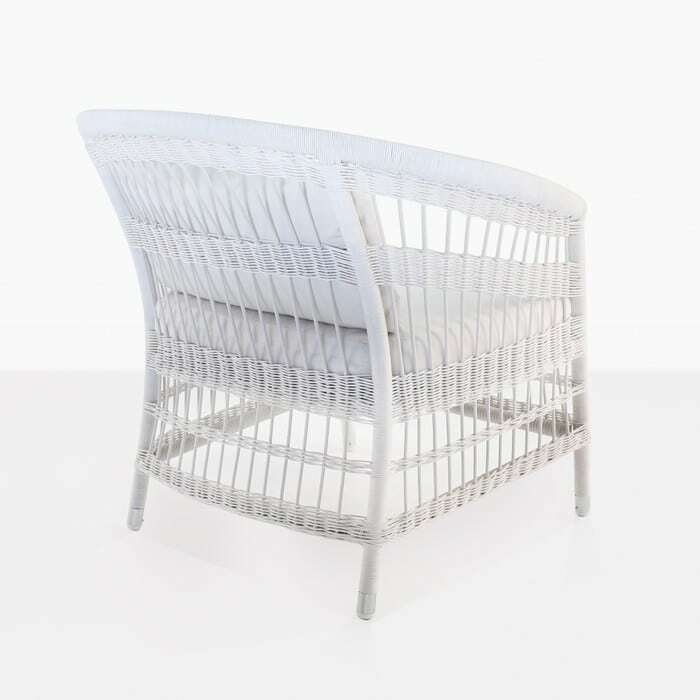 It has a lower profile and extra wide seat for comfort. 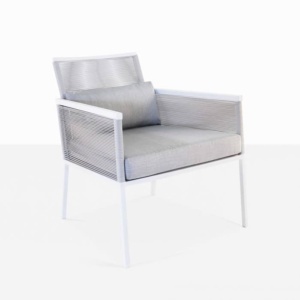 It is also made with the highest quality materials including powder-coated aluminum, synthetic wicker and Sunbrella cushions. 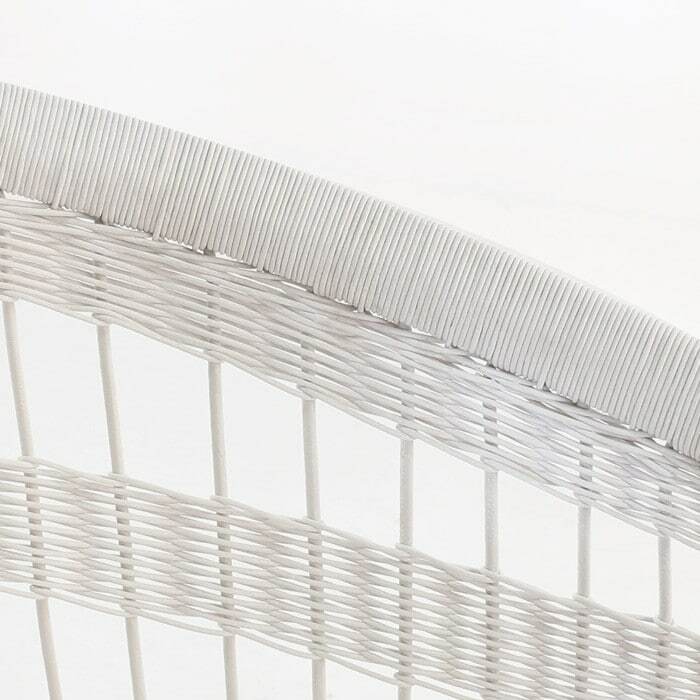 The wicker is strong, smooth and beautifully woven and easy to clean. 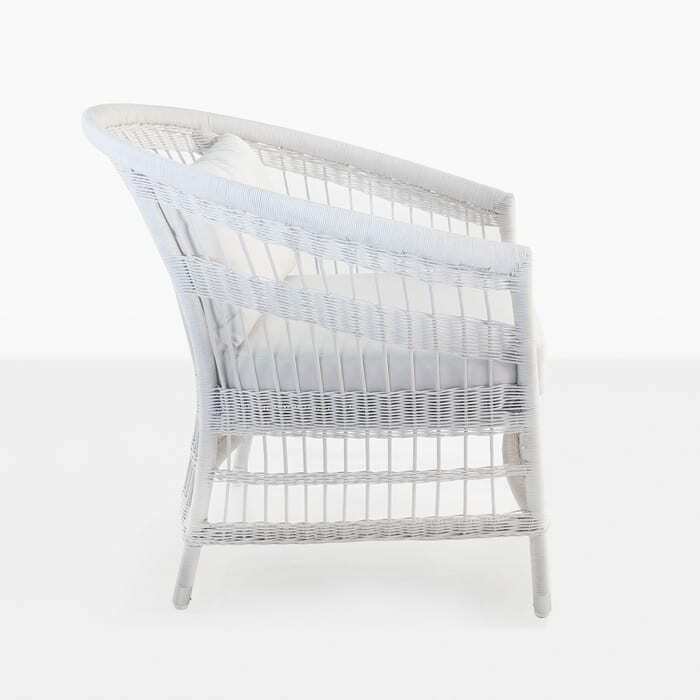 This white wicker patio chair is a favorite and will go well with many of our accent tables so that you can create an outdoor oasis that will enjoy for many years to come.